NONO is a contemporary design and manufacturing agency based in Mexico City. 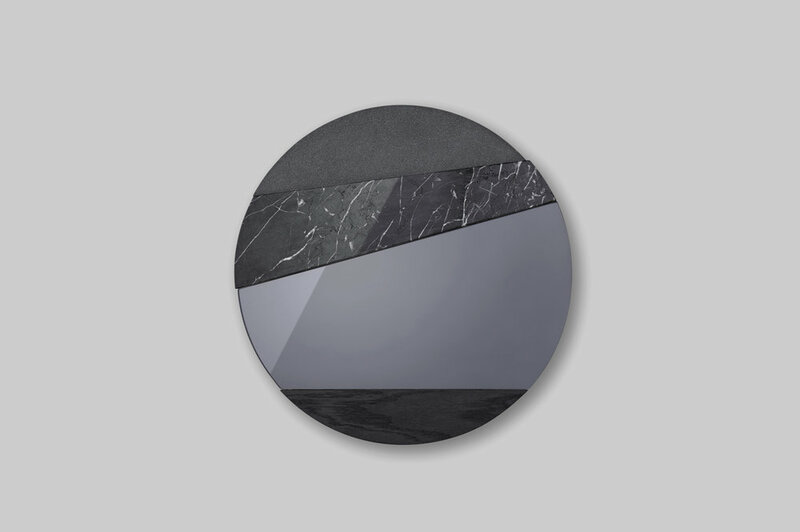 The diverse surfaces used in this mirror are intended to create different reflections and views on what it is observed. This composition starts, from top to bottom, with a synthetic material, a piece of marble, mirror and ending with a mini wooden shelf bounded by the thickness of the material. Please provide your address so we can send you information regarding delivery cost to you. Many of our products come in additional finishes and sizes, tell us which is the one you are interested in. We aim to respond within 12 hours - 7 days per week. Materials / Wood, corian, marble and glass.